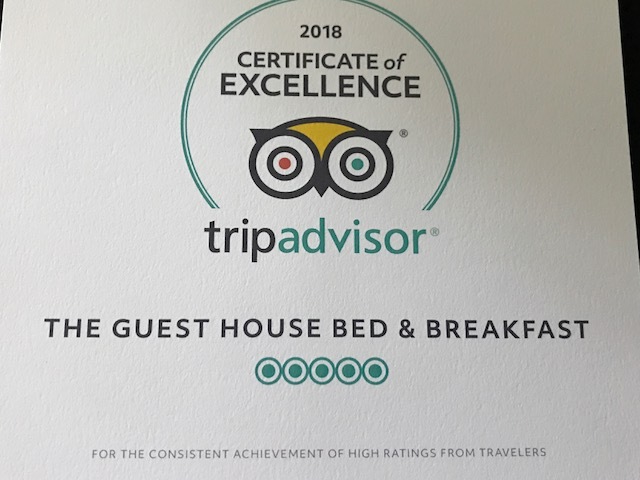 Thank you to our guests that have shared their stay here at The Guest House Bed & Breakfast by writing a review on TripAdvisor. We appreciate each and every one of you and are honored to have you as our guests. Since 2011, the Certificate of Excellence honors hospitality businesses that deliver consistently great service across the world. 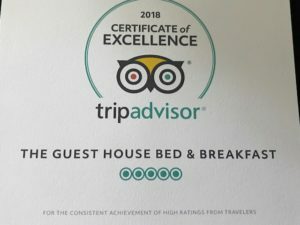 This designation is presented to approximately 10% of total businesses on TripAdvisor that have consistently achieved great reviews over the past year. There is no application process for the Certificate of Excellence, and the achievement is earned over time. This entry was posted in Guest House Happenings, Local Happenings by admin. Bookmark the permalink.